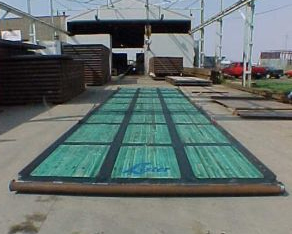 Lister Industries Ltd. is a global leader in the design and manufacturing of Laminated Rig Mats and Walking Rig Mats. Our product has been designed and engineered to meet heavy load requirements for drilling applications around the world. With 45+ years of experience in Rig Mat design and manufacturing, we are committed to excellence in continuing to meet the challenges of the oil and gas drilling and service industry. 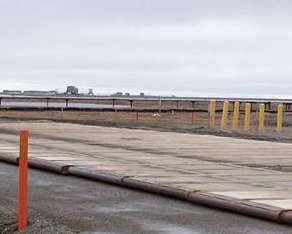 Lister Industries ltd. Rig Mats provide a solid base for all your drilling needs. We look forward to meeting your needs. 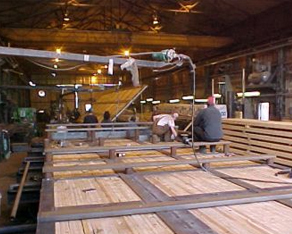 Lister Industries ltd. mats are constructed from structural steel and glue laminated wood packets.